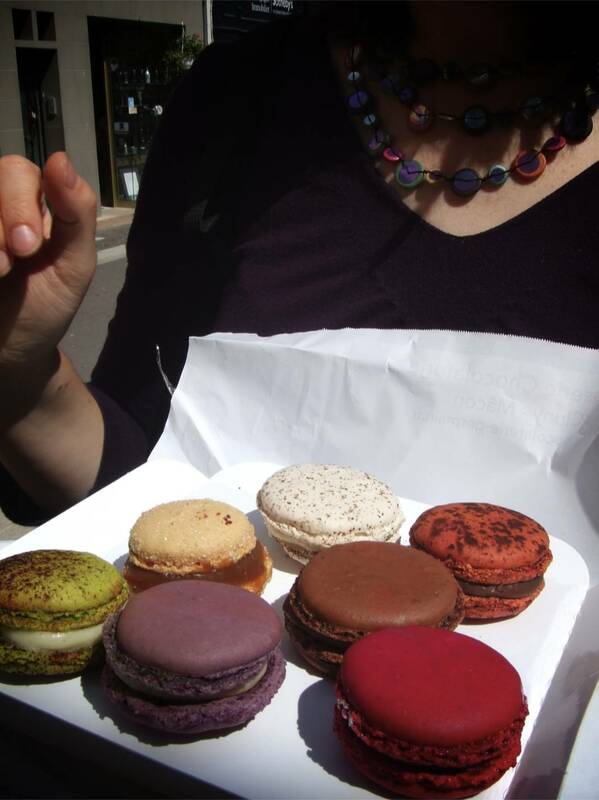 After three years in France we finally splurged and bought macarons, just to see what all the fuss was about. They’re worth it—the vivid colors are matched by equally striking flavors. Here we had caramel, vanilla, chocolate, coffee, raspberry, apricot, and the green one was olive oil with caramelized balsamic vinegar tucked in the center.